We have completed many successful projects by joining venture with a Japanese company since 2014, and as a result our 4 sets rotogravure printers were entered in the Japanese market in 2017. Quality is the most important factor for our customers before making decisions to HSING WEI. Majority of our customers print on PE (Polyethylene or polythene) which is one of the difficult films to print. It requires very sensitive tension to control the films otherwise the wastage rate increases. HSING WEI specializes for PE film printing technology, therefore premium customers always prefer our rotogravure machine. 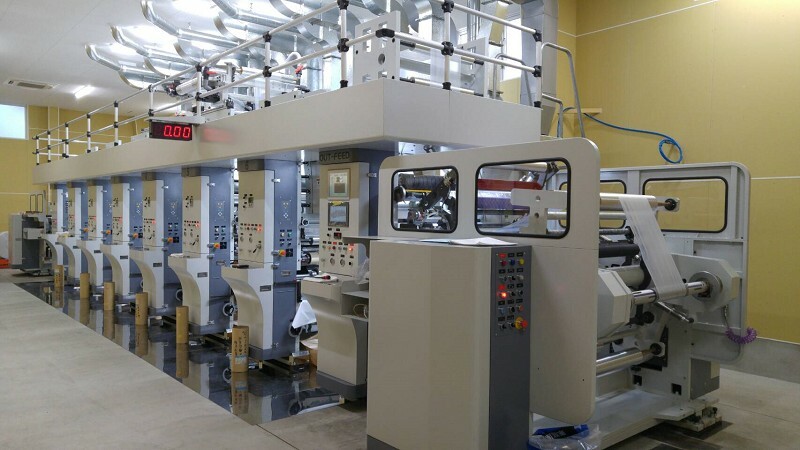 HSING WEI’s extensive and ability for complete technology support has earned the high reputation in the flexible packaging /shrink sleeve industry. Customer’s success is our success. We customize the machine to fit your needs. We believe only customized machines will be able to handle special projects and find desirable solutions for your needs. HSING WEI will be your most reliable partner for your business.